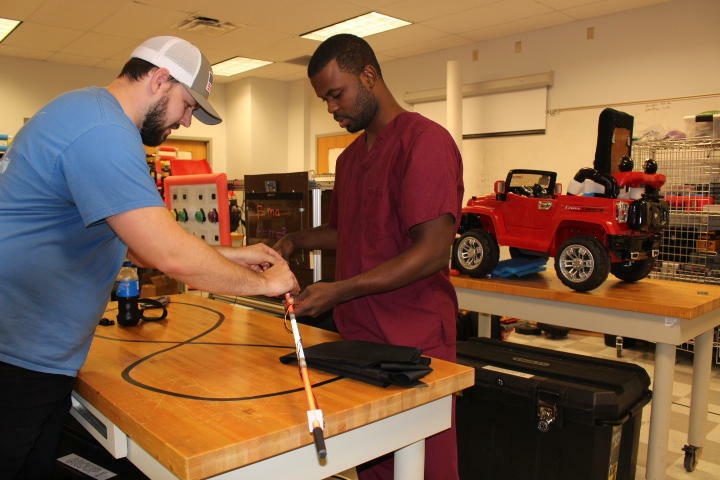 UNF engineering student Preston Loveday (left) and physical therapy student Darius Stukes work on a smart cane for Atlantic Coast High visually impaired students. UNF students modify a toy car for disabled kids. University of North Florida engineering and physical therapy students have teamed up to create devices to help Atlantic Coast High School kids with disabilities. The UNF students were putting the finishing touches on the devices Tuesday afternoon. The high school partnership is a new element to an existing “Adaptive Toy” project, where the college students modify toy cars for young kids with disabilities. UNF Engineering Professor Juan Aceros said partnering with Atlantic Coast means his students can help teens too. The Jacksonville high school has a large population of students with autism spectrum disorder and different disabilities. Physical Therapy student Dallin Tampa has been helping develop a sensory wall -- a moveable wall adorned with different stations for autistic kids. UNF physical therapy student Dallin Tampa demonstrates how the sensory wall works. The students will control a moving light with a joystick through the maze. Tampa said the device will help the students recognize the connection between the light’s movement and their hand controlling it as well as help with decision making. “And then once they get to the center of the maze it’ll light up really bright,” Tampa said. On the other side of the wall there are cubbies with different textures inside them and a sound board in addition to other stations. Communication and Social Skills site coach at the high school, Emily Bradford, said the wall with increase students’ attention span, improve motor skills and communication. And at another class station, UNF students were making final tweaks to a smart cane for visually impaired students to use. This year an Atlantic Coast student who recently went blind will have the opportunity to use it. Atlantic Coast High visually impaired students will get to use a smart cane. “One of the things I asked to go on the cane was some kind of chip so I can get data from it,” Bradford said. She said the cane’s sensors will track if the student is using it correctly, by documenting the angle its being held at, the speed the student is walking and how quickly he’s swinging it. 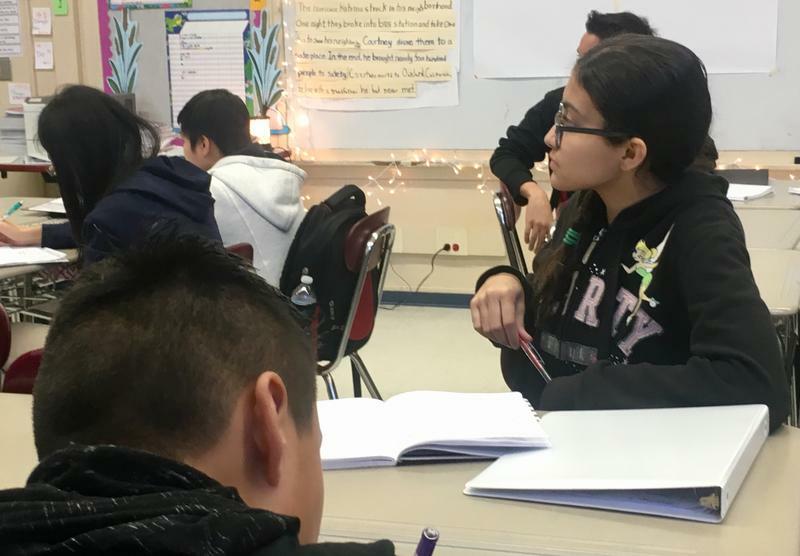 “That’ll actually help us steepen the slope of helping the student become a little bit more independent and it’ll also let us know ‘do we need to increase intervention with the student?,’” Bradford said. Engineering student Preston Loveday said tracking students’ walking speed was the biggest area of troubleshooting, since GPS wasn’t an option. Instead he’s paired the cane with an ankle monitor. “We had to link it all together so we had to use Bluetooth to link the ankle monitor with the actual cane monitor because the cane holds the majority of the electronics and records all the data,” he said. Aceros, Loveday’s professor, said not only is this project helping kids with disabilities, he sees it transforming his engineering students. “They realize that the tools that they have, the math and the skills that they are acquiring can actually help society, help improve the quality of life of people with disabilities for example,” Aceros said. The project will keep going since UNF recently received a $500,000 grant from the National Institutes of Health to continue it. Atlantic Coast will get the devices Friday along with eight young kids who will receive modified toys. Below: UNF Physical Therapy student Dallin Tampa demonstrates how the sensory wall works. The holidays are coming early for some Jacksonville children with disabilities. On Friday evening, they’re getting special vehicles and toys modified just for them. University of North Florida students adapted the toys as part of a class that meshes engineering and physical therapy. On Thursday, students were putting the finishing touches on the cars they’re upgrading for eight lucky patients, like Brycen, who has Down syndrome. His vehicle is a mini BMW with lots of customization. 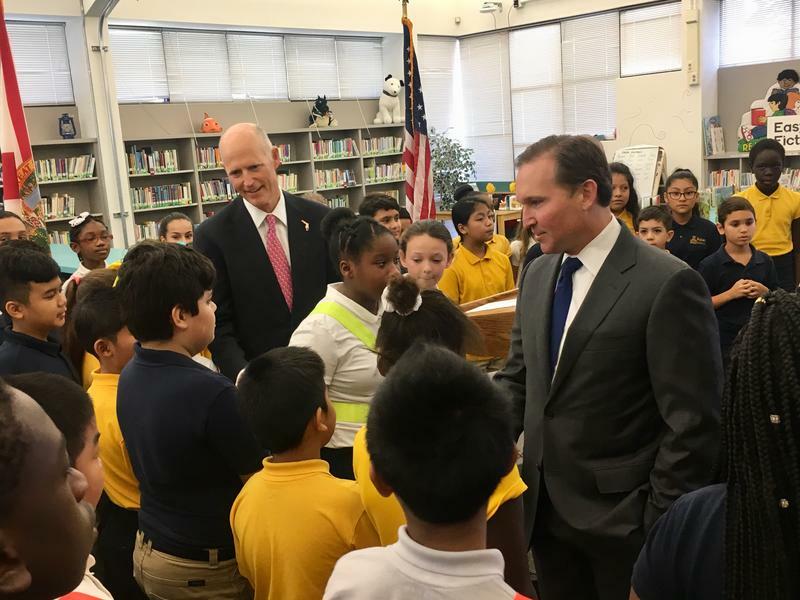 Florida has taken in nearly 8,000 students this year after hurricane disasters — the majority of them coming from Puerto Rico during the last couple months, according to the Florida Department of Education.